Hi – Aunt Geri here. I really don’t know where these ideas come from! We sell a lot of children’s hats so I am always thinking about new ideas. 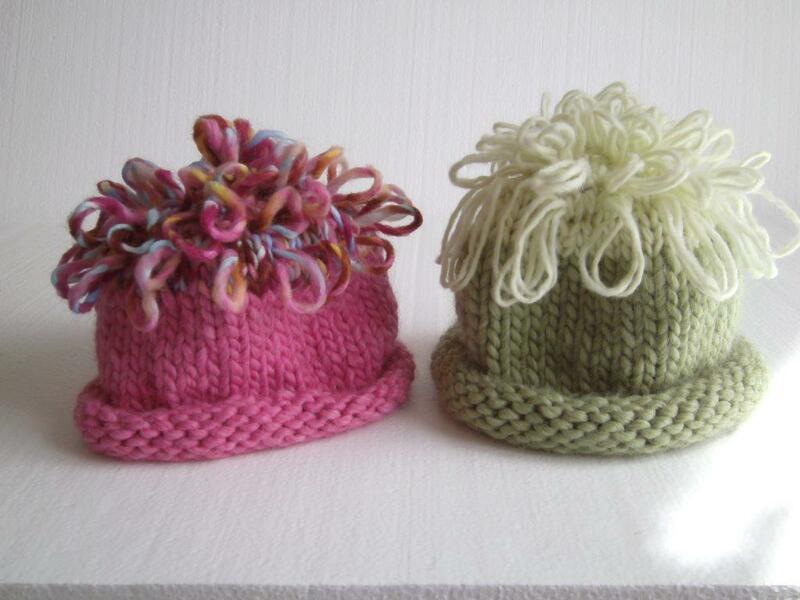 Also, I am so easily bored – this idea came to me about half way through knitting a rolled brim kid’s hat. Maybe I was thinking of Scythia’s yarn looking like spaghetti when it was wet? So goes the “noodle heads” hats – which I am perfecting because I used two different techniques on these. They are just plain fun and are made with a super bulky single-ply alpaca yarn. This design has spawned a bunch of new ideas that I will also try – included but not limited to a mohican(mohawk)hat, a dragon hat, maybe a Denver Broncos horse mane hat………….. We’ll keep you posted! This entry was posted in fiber art and tagged hat, knitting, yarn. Bookmark the permalink.